Each of us plays several roles in life. Some of my favorite are: researcher, teacher, and musician. As a researcher, I describe my work in various ways depending on who I am talking with. In the official blurb, published in the College of Engineering handbook, I stress the system identification aspects of my work, and I ramble on about how we can hope to make a better world by understanding our machines and ourselves. I sure hope that I'm right about this. For others, I stress the applications to signal processing and use words like "stability of algorithms," "convergence analysis," and "equalization." 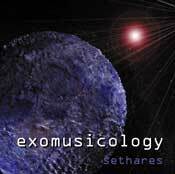 For others, I talk about the musical motivations lying behind my work and call it acoustical signal processing or perception based audio, where I have been investigating the relationships between the timbre (or spectrum) of a sound and the tunings (or musical scales) in which the sound will appear most consonant to the ear. This has culminated in Tuning Timbre Spectrum Scale, published by Springer-Verlag (the second edition is now out!). 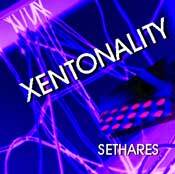 More recently, I have been investigating methods of detecting periodicities in data records, and attempting to automatically detect rhythmic structures in musical performances, as well as in other more prosaic signals such as heartbeats. 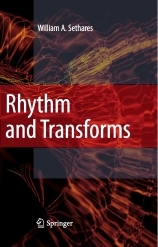 Rhythm and Transforms (also published by Springer) describes these investigations. There are also links to many of my publications (with all the self aggrandizement of a CV!). Some of my favorite courses to teach are ECE401: Electroacoustic Engineering, ECE415: System Modeling and Identification. and ECE330: Signals and Systems. More recently, I've been spending an awful lot of time on the communications courses like ECE436: Telecommunications Systems. Rick Johnson and I have written a book called Telecommunication Breakdown which is all about the operation of (software) radio. In case you can't read it in the image, the subtitle is: Concepts of Communication Transmitted via Software-Defined Radio. If you really want to know what my students think of me, then click here, but I wouldn't recommend it. If you are wondering what it's like to do an undergraduate thesis at UW, you might want to meet Xiang's Environmentlly Friendly Robot. Or perhaps you may find this Ode to an ECE Prof interesting.